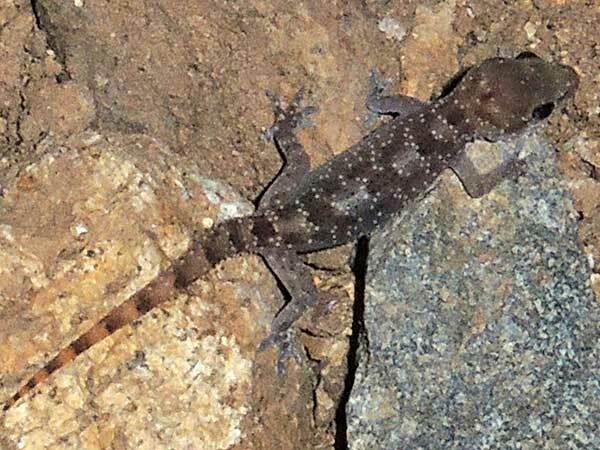 This small gecko was hunting at night on a rocky ledge not far from habitations and lights attracting insects. South end of Kerio Valley, Elgeyo-Marakwet, Kenya, 12 Oct. 2015. Copyright Michael J. Plagens, page created 12 Oct. 2015.